Role: Randi Chandler, former wife of the film’s blue-collar protagonist. In her favor: It’s a small role with the impact of a Molotov cocktail. With co-star Casey Affleck, she does a three-minute autopsy on their marriage that demands Kleenex. Then again: It’s a precisely cut gem of a performance, but like a petite diamond, it may not stand out large enough for everyone to see its radiance. Michelle nabbed her fourth nod for her turn. “Manchester by the Sea” is the first big success for a film distributed by Amazon. Unlike rival Netflix, Amazon gives films an extended, wide theatrical release before making them available to stream online. and was acquired by Amazon at Sundance in 2016, in a deal that saw Amazon Studios pay $10 million for the rights to the picture. Viola Davis won Golden Globes Best Supporting Actress for her role in Fences. Michelle Williams took Best Actress (Comedy or Musical) for playing Marilyn Monroe in “My Week with Marilyn.” The 31-year-old thanked the HFPA “for putting in my hands the same award that Marilyn herself won over 50 years ago.” Michelle wore a black and navy dress by Jason Wu, with a high neckline and three-quarter length sleeves. 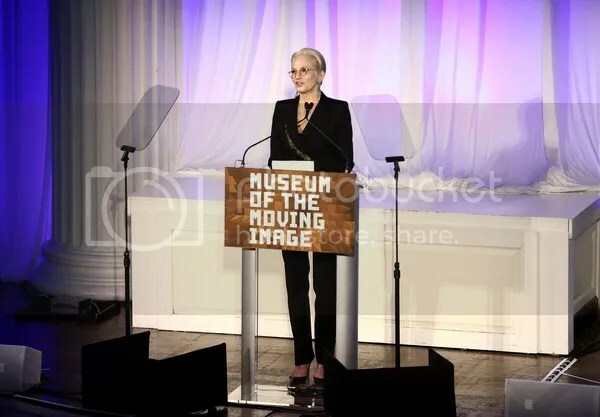 Ellen Barkin speaks onstage at the Museum of The Moving Image honors Julianne Moore at 583 Park Avenue on January 20, 2015 in New York City. Jack Byrne (son of Ellen Barkin and Gabriel Byrne)and Malcolm Ford (son of Harrison Ford) with their blues rock band, The Dough Rollers! MF Global former Assistant Treasurer Edith O’Brien. Mr. Corzine has agreed to pay the $5 million penalty out of his own pocket. .MF Global employee in Chicago, Edith O’Brien agreed to settle, striking a deal that imposes a $500,000 penalty and an 18-month prohibition on her associating with a futures broker like MF Global. In 2013, the Commodity Futures Trading Commission sued Mr. Corzine for failing to “diligently supervise” the firm as it jeopardized the clients’ accounts. The agency did not directly link Mr. Corzine, 70, to the missing money, but it did accuse a lower-level employee in Chicago,Edith O’Brien , of “aiding and abetting” the misuse of customer money, saying she allowed it to be used to plug holes in MF Global’s own accounts. federal court in New York has ordered MF Global Holdings Ltd to pay $1.2 billion in restitution and a $100 million penalty over charges it misused customers funds and committed related supervisory violations, the U.S. Commodity Futures Trading Commission said on December 24. The CFTC said its litigation will continue against former MF Global Chief Executive Jon Corzine and former Assistant Treasurer Edith O’Brien. Joshua Vandyk, a U.S. citizen, and Eric St-Cyr and Patrick Poulin, Canadian citizens, were indicted for conspiracy to launder monetary instruments on March 24. U.S. citizen Joshua Vandyk and Canadian Eric St-Cyr lived in the Cayman Islands and worked for an investment firm called t,Clover Asset Management which St-Cyr founded. Canadian lawyer Patrick Poulin was a partner at Bishops, a firm based in the Turks and Caicos. Poulin, an attorney, at a law firm based in the Turks and Caicos, worked and resided in Canada and in the Turks and Caicos. His clientele also included numerous US citizens. Vandyk and St-Cyr lived in the Cayman Islands and worked for an investment firm based in the Cayman Islands. St-Cyr was the founder and head of the investment firm, whose clientele included numerous US citizens. Vandyk and St-Cyr directed the undercover agents posing as US clients to create offshore foundations with the assistance of Poulin and others because they and the investment firm did not want to appear to be dealing with US clients. Poulin established an offshore foundation for the undercover agents posing as U.S. clients and served as a nominal board member in lieu of the clients. Poulin transferred wire payments from the offshore foundations to the Cayman Islands, where Vandyk and St-Cyr invested those funds outside the United States in the name of the offshore foundation. The investment firm represented that it would neither disclose the investments or any investment gains to the U.S. government, nor would it provide monthly statements or other investment statements to the clients. Clients were able to monitor their investments online through the use of anonymous, numeric passcodes. 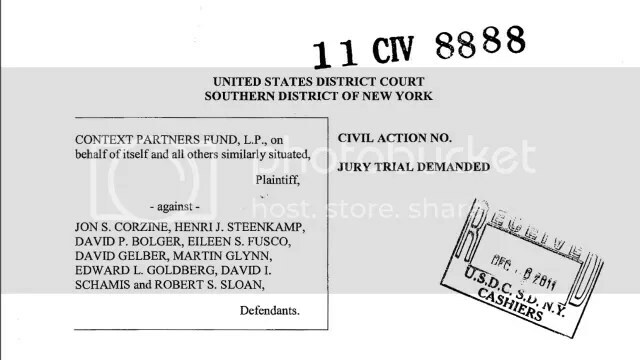 Upon request from the U.S. client, Vandyk and St-Cyr would liquidate investments and transfer money, through Poulin, back to the United States. According to Vandyk and St-Cyr, the investment firm would charge clients higher fees to launder criminal proceeds than to assist them in tax evasion. MF Global on April 5 won court approval of a plan to liquidate its assets, pay back creditors and end the $40 billion bankruptcy that rocked the financial world in 2011. No MF Global executives have been held accountable for their actions, more than six months after the firm’s collapse and billions of dollars of other people’s money have been lost. Come to think of it, no one else on Wall Street has been held accountable for blowing up our economy, either. How can this still be the case? On July 28 and again on Aug. 3, MF Global raised $325 million by selling bonds — the first a 3.375 percent convertible-note offering, due 2018; the other a 6.25 percent senior note offering, due 2016. Thanks to the company’s collapse and subsequent bankruptcy filing on Oct. 31, these two bond offerings now trade at around 35 cents on the dollar. What in August 2011 was worth $650 million is now valued at about $227 million, a staggering loss of around $423 million in a matter of months. This class action lawsuit was filed against certain senior executives of MF Global Holdings Ltd. (OTC: MFGLQ; formerly NYSE: MF) (“MF Global” or the “Company”) based upon their allegedly false and misleading statements and omissions in connection with the Company’s July 28, 2011 offering of 3.375% Convertible Senior Notes due 2018 (CUSIP: 55277JAB4) and August 3, 2011 offering of 6.250% Senior Unsecured Notes due 2016 (CUSIP: 55277JAC2) (respectively, the “Offerings” and the “Notes”). The lawsuit was brought on behalf of all persons and entities, except Defendants and their affiliates, who purchased or otherwise acquired the Notes in or traceable to the Offerings, and were damaged thereby. The action arises out of the Company’s financial implosion, which was allegedly caused by the Defendants’ wholesale disregard for its purported risk management and internal controls, as they sought to transform the Company from a broker-dealer into a full service investment bank at all costs. In this regard, the complaint alleges the Defendants made numerous material misrepresentations and omissions of material facts in the Offering materials and documents incorporated by reference therein, concerning, among other things, the adequacy of the Company’s risk management, its liquidity and internal controls.